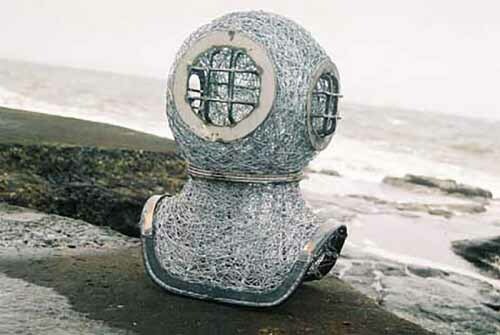 wire figures, human figure, wire portrait sculptures in galvanised steel, copper and bronze. 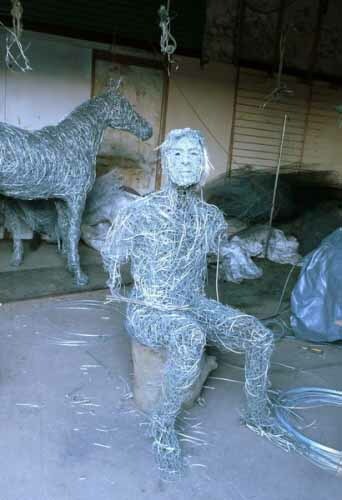 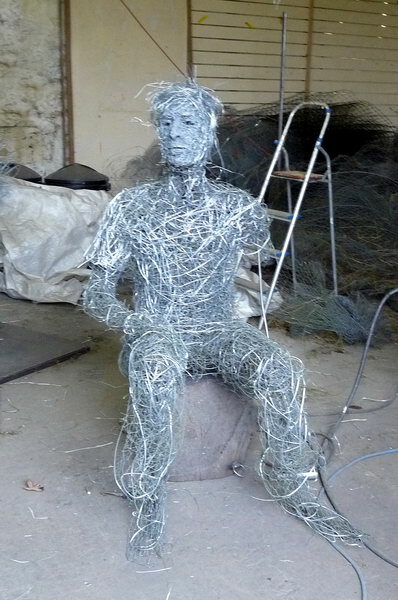 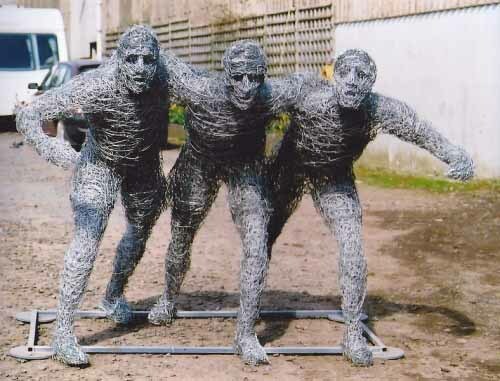 Figurative sculpture wire portraits , life-size figure sculptures in wire. 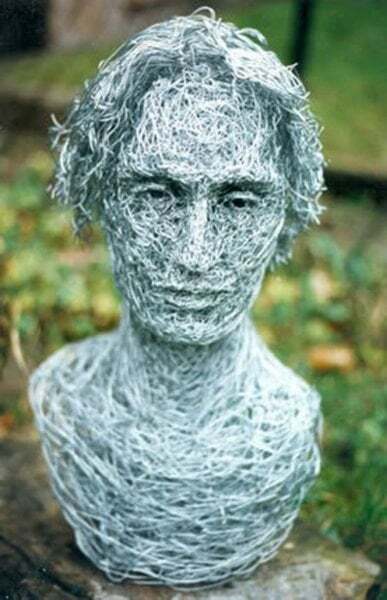 Wire figures, figurative sculpture, wire portraits, life-size figure sculptures in galvanised steel, copper and bronze wire. 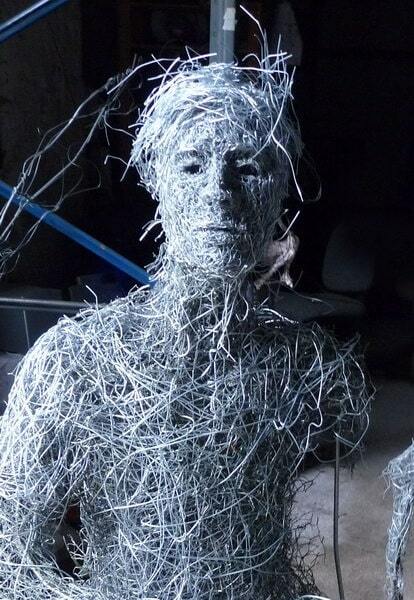 Laura Antebi creates wire figures, detailed portraits in wire and sculptures of the human form in steel, copper and bronze. To reveal a state of mind, a quality of emotion, a human presence in any material is the intention but not the aim and if conditions are right and it happens, it is the prize. 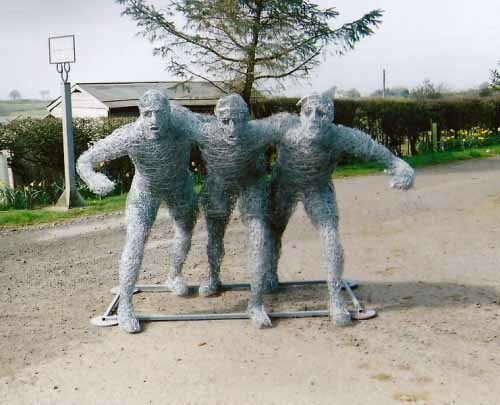 Please click on the images below to see portraits in wire including a life-size wire rugby scrum.